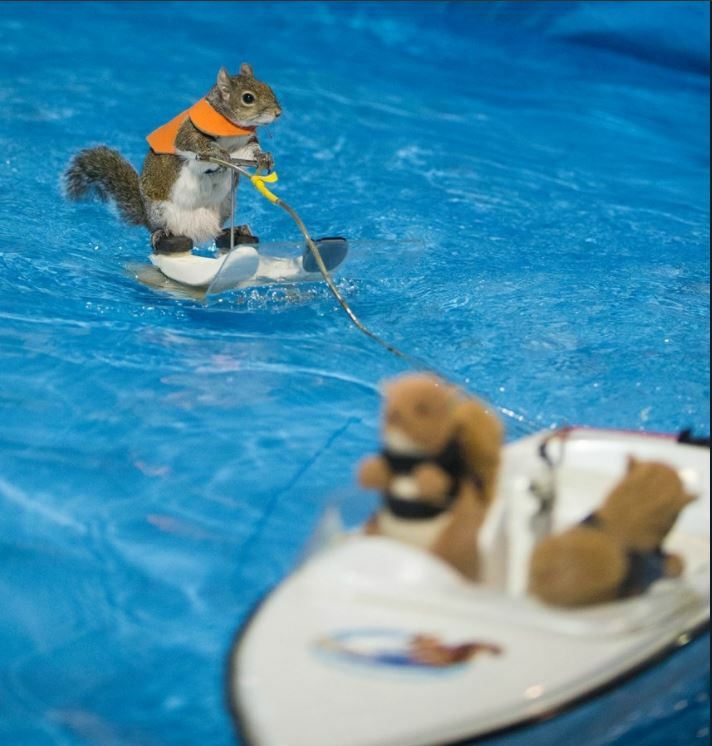 Twiggy the 10 year old squirrel stole the show at the 60th Annual Toronto Boat Show 2018. 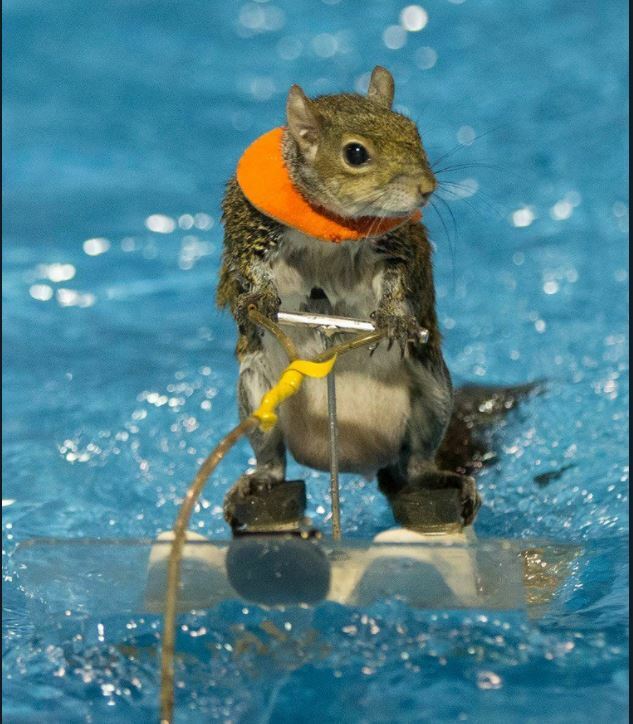 The adorable squirrel balanced itself on two skis and wore a life jacket for safety reasons of course. 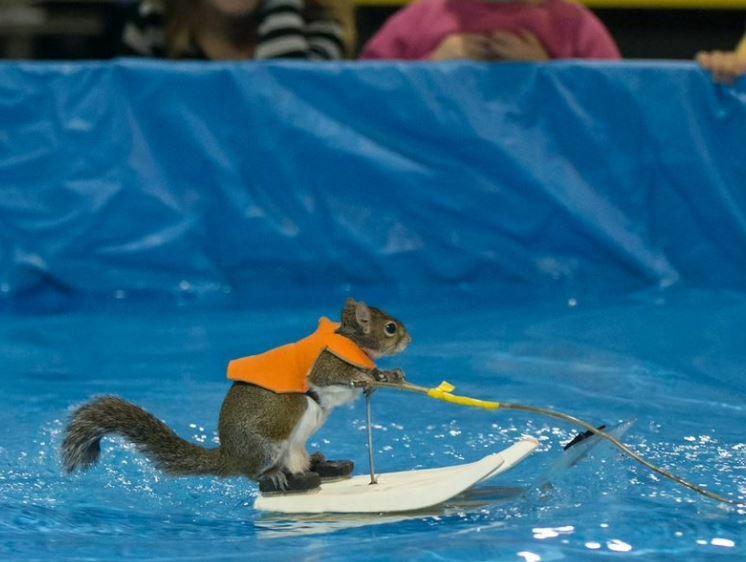 The act was performed in an inflatable swimming pool and Twiggy was pulled by a remote toy speedboat.